There are many things you can do to help keep your home secure without a home security system. From keeping your windows and doors locked to keeping the television on while you’re away for the evening, there are definitely steps you can take to keep your home safe without spending any money. The trouble is, thieves are smart. No matter how many small things you do to keep your home secure, your property may still benefit greatly from a home security system, but how do you know if a home security system is right for you? Here are 5 signs it’s time for you to purchase a home security system. One of the main reasons why you should consider installing a home security system is to keep your family safe. Although protecting yourself is important, nothing compares to ensuring the safety of your children. The FBI states that 1 in every 3 homes without a home security system will fall victim to a home intrusion. In contrast, only 1 in 250 homes is burglarized when the property is equipped with a home security system. Whether your children are home early from school or they are old enough to stay the night alone while you’re away on business, you and your children will enjoy greater peace of mind knowing that they are protected. The majority of break-ins occur when you’re away at work and the kids are away at school. It makes sense, since there’s no one around to stop the burglary! That’s why, if you’re away from home a lot, you should definitely consider installing a home security system. Not only can you have your property professionally monitored, ensuring that a burglar doesn’t get away with your valuables, you can also program home automation functions that will make it appear as if someone is home after all. You can double check to make sure your doors are locked, set the thermostat, and program your lights to go on and off throughout the day. Some companies even offer live video monitoring so you can keep tabs on everything going on in your home, even when you’re not there! This is a great feature if you have kids that spend time alone before you get home from work. Protecting valuables is often the most cited reason for installing a home security system. According to a study conducted in 2001, the average loss due to a burglary is $1,258. Add to that the sentimental value attached to many of the valuables in your home, and it makes sense that you would want to install a home security system. If someone breaks into your home, most systems sound an alarm that will scare the intruder away. Professional monitoring systems will also contact the authorities. Some equipment can even take live video or pictures of the intruder to ensure they are caught! It’s not just big houses in the fancy part of town that get broken into. Apartments get their fair share of break-ins as well, as do small, unassuming houses in nearly any neighborhood. If break-ins and robberies occur in your neighborhood, or if one has occurred near your place of residence in the past, it’s worth your time and money to consider a home security system. Most systems can be completely customized to your unique situation, which means they are way more affordable than you think. Even installing just a few sensors in doorways and around windows for less than $20 per month can mean the difference between a home that’s safe and sound and one that gets burglarized. Unless you’ve spent some time researching home security systems already, you probably don’t know about everything they have to offer. Even if you aren’t worried about break-ins and burglars, you may be interested in a home security system because they offer a wide variety of monitoring services. Smoke and carbon monoxide detectors can be tied into your home security system, ensuring that help is on its way if a fire or dangerous amounts of CO are detected. Some systems also offer freeze and water sensors to ensure pipes don’t burst and your home doesn’t get flooded. 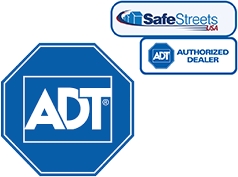 Choosing the right home security system is often a personal decision that should always be made by considering all the facts. If after reading this list you realize a home security system is the right choice for your family, check out our reviews before making a decision. There’s sure to be a provider on our list that offers the equipment, services, and a monthly fee that is perfect for your family.